As you may or may not have spotted on Instagram, I recently jetted off for (another) little dose of sunshine. 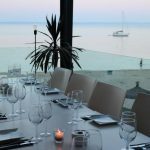 I was very lucky to have been invited to go along on a trip with onthebeach.co.uk to spend a few days and nights in sunny Mallorca staying at the newly refurbished BH Mallorca Hotel and exploring what Mallorca has to offer…yes, including infamous Magaluf (where BH Mallorca is located). For some reason or another, when it comes to holidays in recent years places in Europe haven’t always been on my radar. Maybe it’s the time of year I’ve been going (going further afield when out of European Summer season to be more certain for hot sunshine) or maybe it’s just a bit of wanderlust taking me to different places…Mainland Spain and Mallorca were my family’s holiday of choice when I was growing up, but it’s been a while since I’ve been back. The last time I was there was actually for Ollie to do a half Iron Man competition in Alcudia on the North side of the island – the area I’ve always visited in the past so it was good to get to see another side (literally) to Mallorca for this trip. So, Magaluf… Ok, so I’ll be totally honest and say that Magaluf is not the sort of place I’d generally consider as a holiday destination. 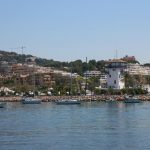 But having been to and loved Mallorca in the past, and always being up for some sunshine I thought why not go and see what all the fuss is about for myself. Is it as bad as the horror stories in the paper suggest? Well… no, it’s absolutely not at all. 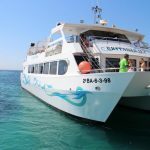 Sure, it’s not a place to head to if you’re looking for a week of sleepy fishing villages and romantic dinners (there are other parts of Mallorca perfect for this), as it is a party destination, for sure. But from what I saw, it’s nowhere near as bad as the papers make out. If you want to let your hair down then it caters perfectly for you. In fact, the BH Mallorca has about everything you could want if you’re after that sort of holiday – it’s the sort of hotel that’s perfect if you want to focus on having a good time whilst staying somewhere nice that’s more than just a place to sleep. The pool areas are lovely and all inclusive options takes the thinking out of budgeting for a holiday – always a plus in my eyes. The hotel has clean and colourful rooms that can potentially sleep multiple people (great if you’re on a budget) it is seriously HUGE with three pool areas – a party pool with VIP pool bed area, a waterslide bit in the middle, and another pool area alongside the stage at the end where they host various DJs and artists so you can start the party from the comfort of your own hotel. On the final night we watched Tinie Tempah perform from the balcony of one of the rooms which was the perfect viewing spot. It will probably come as no surprise that two of my favourite bits of the trip involved food… if you know me at all then you will know how much I love food. 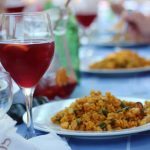 I especially love Spanish food and was delighted to get the perfect mix of the casual Tapas and Paella on the beach at Es Repos in Portals Vells (washed down with cool Sangria of course) and a gorgeous dinner in a lovely beach club (Balneario Illetas) overlooking a pretty little bay. 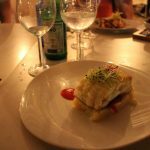 The food here was delicious and I would 100% go back – a gorgeous setting and delicious food is the perfect combo as far as I’m concerned. Seriously, I could go for those tapas dishes right now. 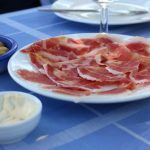 I am such a sucker for tapas, so simple – so good. 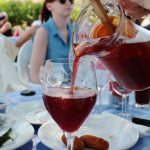 And there is nothing I could possibly love more than chilling in the cool shade on a hot day overlooking the gorgeous turquoise med whilst enjoying Tapas and Sangria. Oh God, take me back! 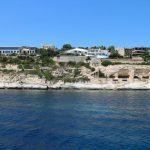 We had actually started the day off with a boat trip around the coast where we got a little sneak peek at the bay we were heading to for lunch along with some of the seriously impressive villas and mansions that line the coast in the Southern region. Including one that is made out of the side of the cliffs and used to be a nightclub…yes really. It was like a 80’s disco version of Tracey Island or something. 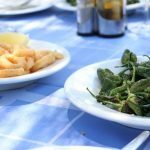 Our three night trip really was such a good chance to see the different sides to Mallorca – the gorgeous beaches, stunning Palma, delicious food, the energy of Magaluf… the island does have a bit of everything. It really did remind me how much I love the island and how many amazing memories of Spanish and Mallorca holidays I have – and it makes me want to make more. I will definitely be back. 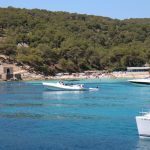 Whilst Magaluf itself is probably not my top choice destination on the island – I’m glad I’ve been and seen it for myself. It’s definitely nowhere near what the papers make it out to be – it is a party town – and that’s the appeal for those that head there. 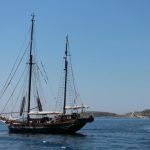 Whatever side of the island it is that appeals to you – the party in Magaluf or the more chilled out side – then you have the choice just a couple of hours flight away. That’s pretty ace. 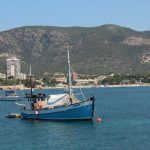 Thank you to onthebeach.co.uk, BH Mallorca Hotel & Mallorca Tourist Board for inviting me to see what Mallorca has to offer. It looks so gorgeous. After the cloudy sky’s and rain just hit this looks like just what I need.